You are here: Home / Coupons / FREE 8-PACK of Sparkling Spring Water! Find your state below, and claim your coupon! Certainly, this has been a great freebie received by many of our group members. If you live in California, Washington, Idaho, Oregon, or Montana. Also, Wyoming, Colorado, Utah, Arizona, New Mexico, Nevada, Alaska or Hawaii. Claim your FREE 8-Pack Arrowhead Sparkling Water Coupon here. People in Texas, Louisiana, Arkansas, and Oklahoma. Also, Nebraska, Mississippi and Kansas. Here’s your Free Ozarka Sparkling Water coupon. Coupons for Maine, New Hampshire, Vermont, and Massachusetts. Also, Rhode Island, Connecticut, New York, New Jersey or Delaware. Claim your Free Poland Springs Sparkling Water coupon here. Ohio, Indiana, Michigan, Illinois, Wisconsin, Missouri, Iowa, Minnesota. In addition, Nebraska, North Dakota or South Dakota residents. Get your Free Ice Mountain Sparkling Water coupon here. Pennsylvania, Delaware, Maryland, District of Columbia. Virginia, West Virginia, North Carolina, South Carolina. In addition, Georgia, Kentucky, Tennessee. Mississippi, Alabama or New Jersey residents. 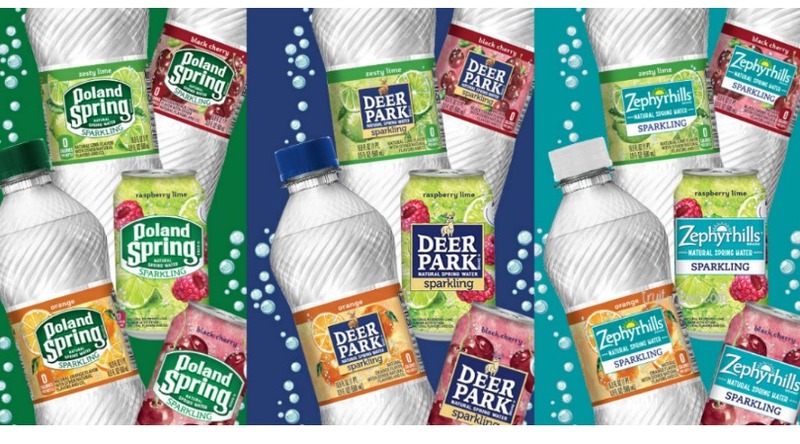 Here’s your Free Deer Park Sparkling Water coupon. Last but not least, Florida and Georgia residents, claim your Free Zephyrhills Sparkling Water coupon here. Nestle Sparkling Natural Spring Water is keeping it Real. Real spring water and real fruit flavor for a refreshingly real taste experience. It’s so delicious, they know you’ll want more than just a few sips! Therefore, they’re offering a coupon for one (1) free 8-pack of 12 ounce cans or half liter bottles of Sparkling Ice Mountain Brand Natural Spring Water. Get it in any available flavor. So, get yours while you can! In short, great free offers like this don’t usually last long. One per household! Also, US only. Click on the blue underlined text above, which represents your state, to request your coupon.